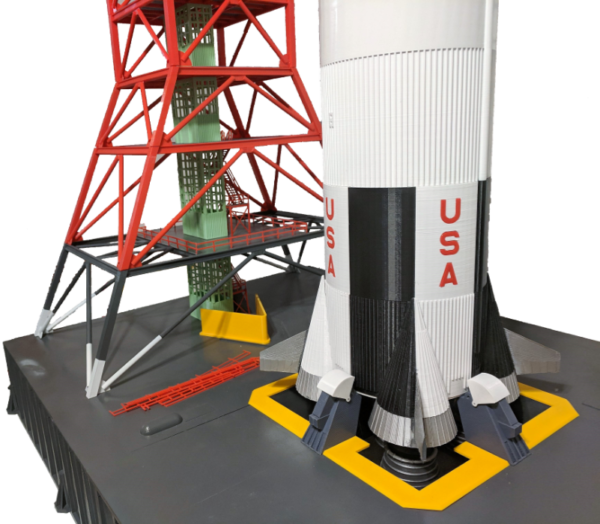 We started the 1/96 scaled Saturn V project in January 2018. It is printed on a Prusa i3 MK3, using Matter Hackers 1.75mm PLA filament. We are still in the build process. We hope to have it ready for the Apollo 50th Anniversary. We are in the process of completing the Saturn V Launch Umbilical Tower (LUT). We have completed the platfrom and Level 30. 17 more levels to complete. Could not imagine seeing this 380ft tower in real life! An Arduino based Apollo DSKY (Display Keyboard) and Apollo Guidance Computer (AGC) Replica. We are still in the build process. 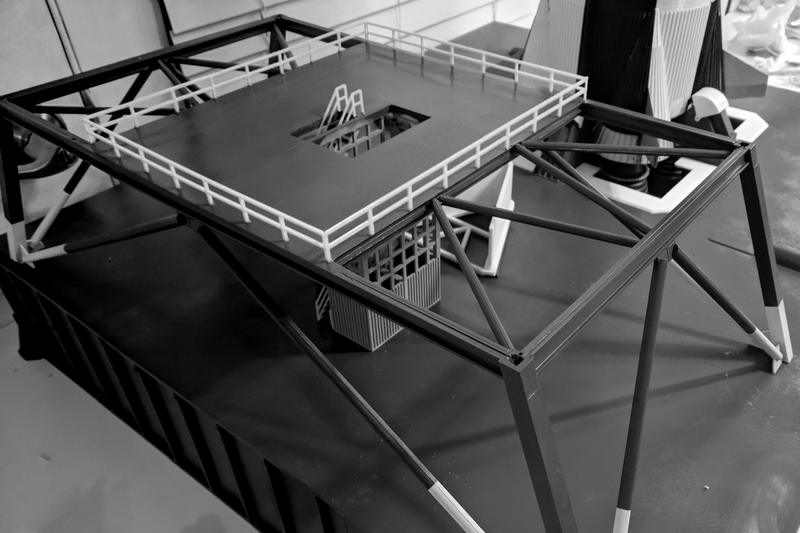 Out goal is to integrate and have it interact with the Saturn V scale model. The Saturn V is the tallest, heaviest and most powerful rocket ever launched, and still remains the only launch vehicle to carry humans beyond low Earth orbit. As active members of NASA Space Center Houston, we are able to frequently visit the only flight-certified hardware based Saturn V in the world. Seeing it in person is always a “Woah”. 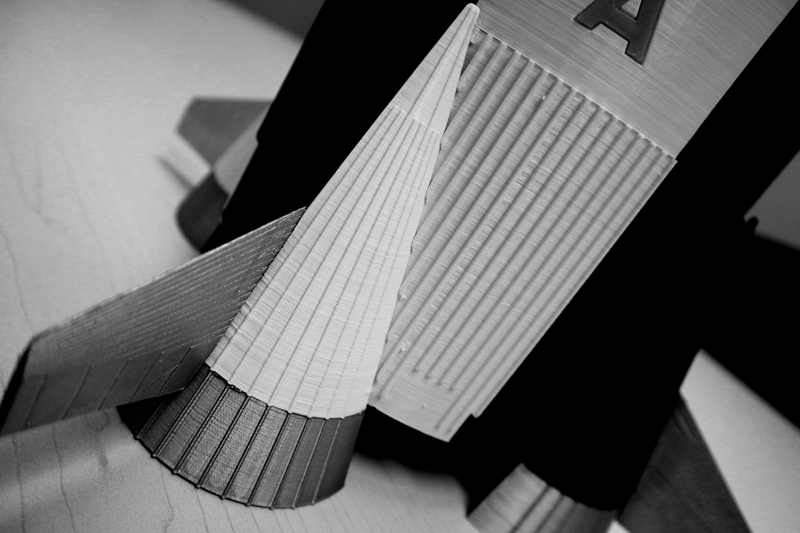 We would imagine the Saturn V on the launch pad. What would it look like. How impressive it must have been. 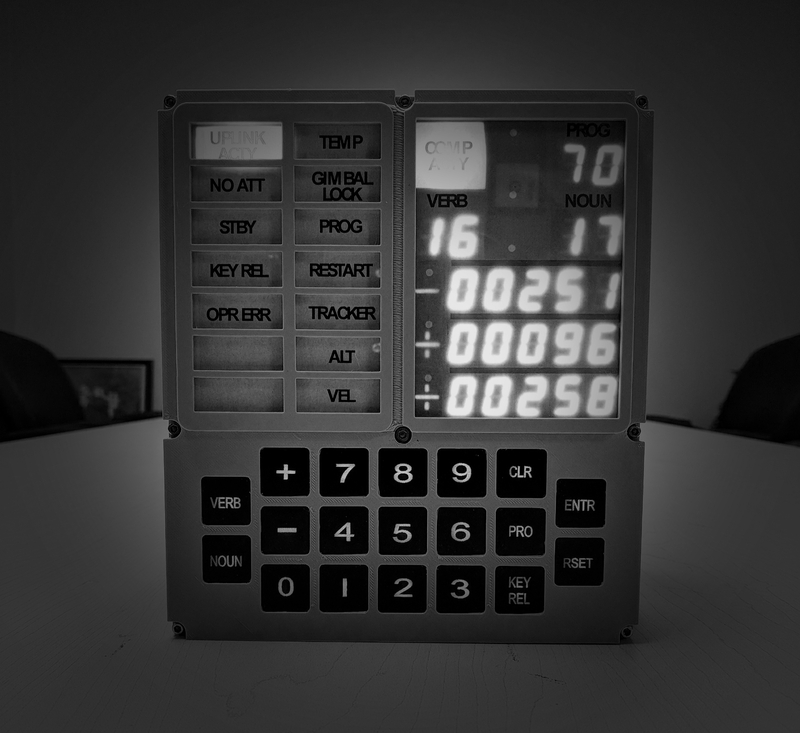 This amazing experience and the Apollo 50th Anniversary is what inspired us to make a scaled Saturn V model, DKSY and Apollo Guidance Computer (AGC). We created this site to track the progress of the models. We started the 1/96 scaled Saturn V project in January 2018. It estimate the model to be 7-8ft tall. It is printed on a Prusa i3 MK3, using Matter Hackers 1.75mm PLA filament. We are still in the build process. We hope to have it ready for the Apollo 50th Anniversary. Our goal is to integrate this Arduino based DSKY and AGC replica model, with our Saturn V model. Electronics and design is sourced from S&T GeoTronics LLC. Frame was printed on a Prusa i3 MK3 with 1.7fmm PLA. We are still in the build process. We hope to have it ready for the Apollo 50th Anniversary.